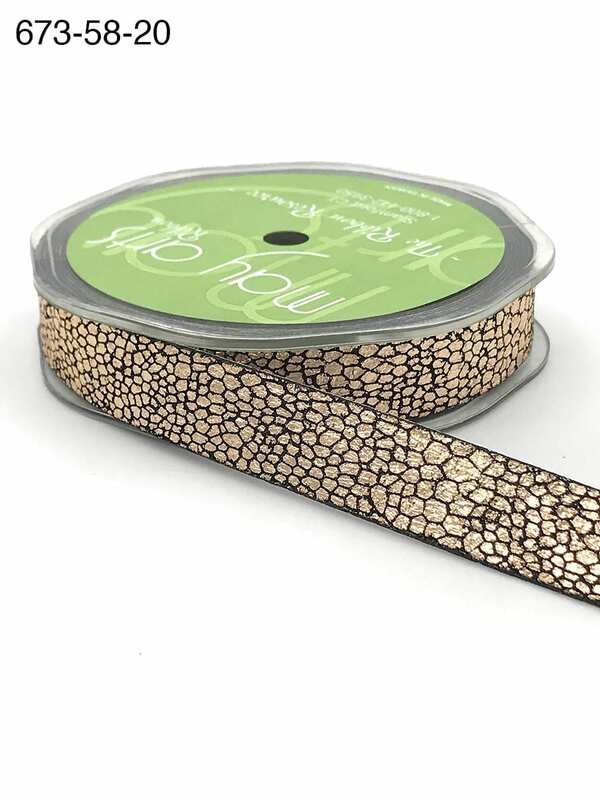 Our 5/8 inch metallic gold snake skin ribbon looks and feels like real snake skin and comes 10 yards to a roll. 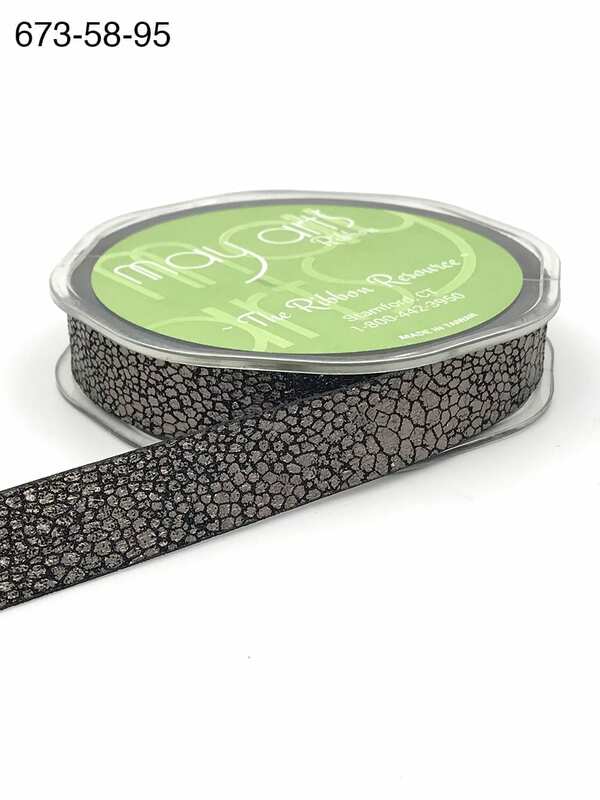 This ribbon is thick with a soft texture. The snake print is small-scale to create a luxurious refined pattern. The metallic hues are extremely popular for everything from weddings to home decor. 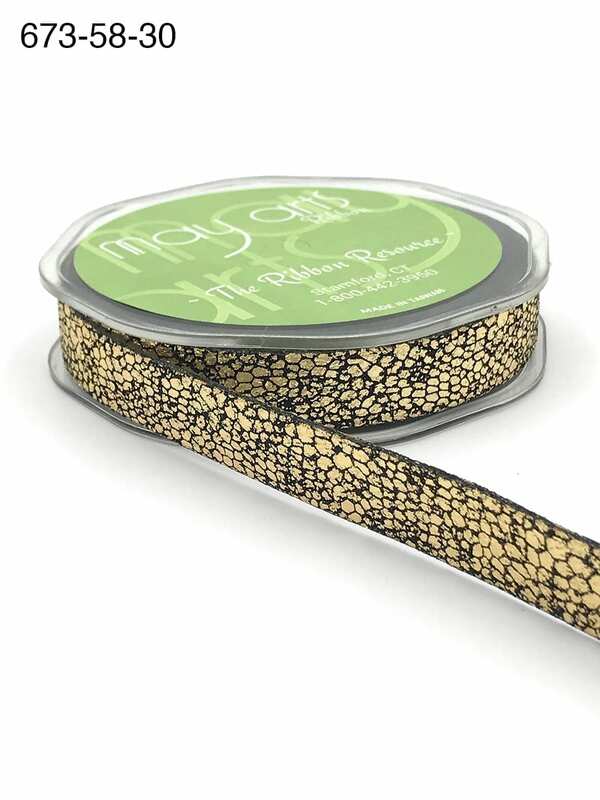 This ribbon would dress up any gift or accessory item. Pair with black ribbon or gift wrap for a sophisticated gift to impress. Machine Wash at 40°c. Do Not Bleach. Do Not Tumble Dry. Do Not Iron.